Today is the Chinese New Year and the first day of the Year of the Pig, an animal that we at deBanked hold very dear. After all, a piggy bank is featured in our logo! According to the Chinese zodiac, a pig “represents luck, overall good fortune, wealth, honesty, general prosperity” and symbolizes “a hard working, peace-loving and social person with a large sense of humor and understanding.” We couldn’t identify more with these characteristics of the pig! And we hope that our readers enjoy all the good fortune, prosperity and honesty of the pig in the year to come. We’re so wild about pigs here that, as some of you know, we invited three miniature pigs to visit our office during the holiday season. Not only that, we decided to make a more permanent connection with a very special pig. 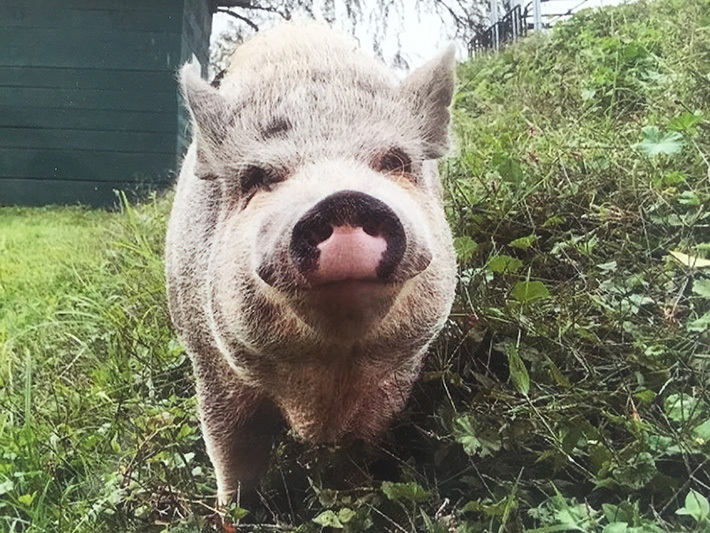 As of the end of last year, we have sponsored a fully-grown adult pig named Sister Mary Frances. 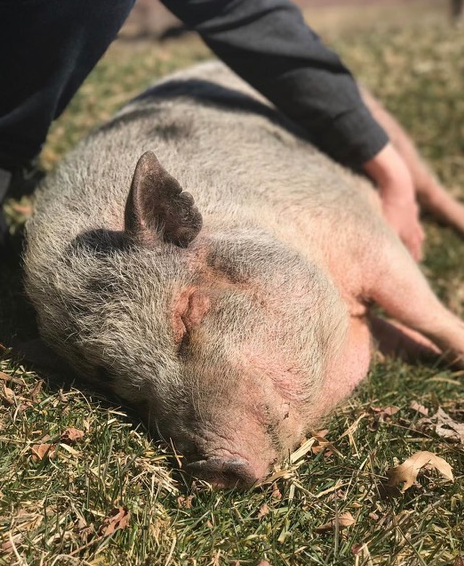 She lives on a farm in Catskill, NY, and while we haven’t met her yet, we already feel a kinship to this pig. Sister Mary Frances was named after a nun who worked closely with the farm in Catskill, and according to her caretakers, she is kind and compassionate like her namesake. She is also quite the explorer and enjoys roaming the vast grounds of the farm where she is the only pig. She also enjoys belly rubs, snacking on fruit and sleeping in the sun. And, believe it or not, while Sister Mary Frances has lived most of her life in Catskill, she was actually born in Brooklyn! So she’s got street smarts too. During the cold months, Sister Mary Frances spends most of her time sleeping in a straw hut. So even her caretakers don’t see much of her. Who knows, maybe she’s busy closing deals. May all of our readers embody the boldness and hardworking nature of the pig and in return be rewarded with prosperity. Happy Chinese New Year and Happy Year of the Pig!